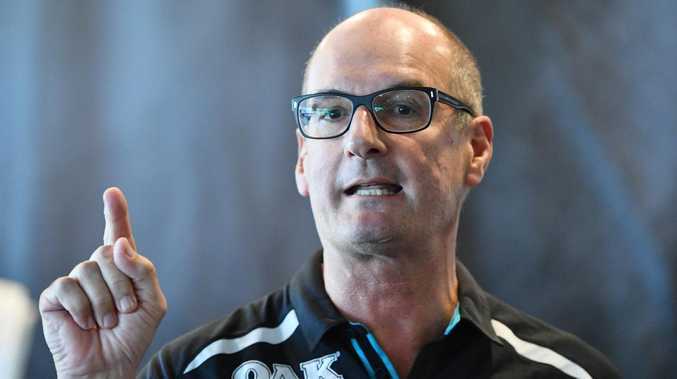 DAVID Koch's role as president of AFL club Port Adelaide has placed him in conflict with his employer Channel 7 during a week of controversy. Koch's torn allegiances are being tested after his club refused to rule out taking legal action against Seven for what it claims was unfair reporting of an incident involving a Port footballer in recent weeks. 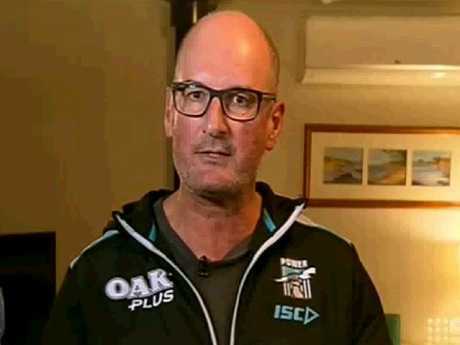 Koch added fuel to the fire with an extraordinary outburst at the AFL over its handling of the matter - before risking the ire of his bosses by appearing on rival network Channel 9 on Thursday night. The Herald Sun reports Koch, who is currently on holiday, has been "told to pull his head in" by Seven. 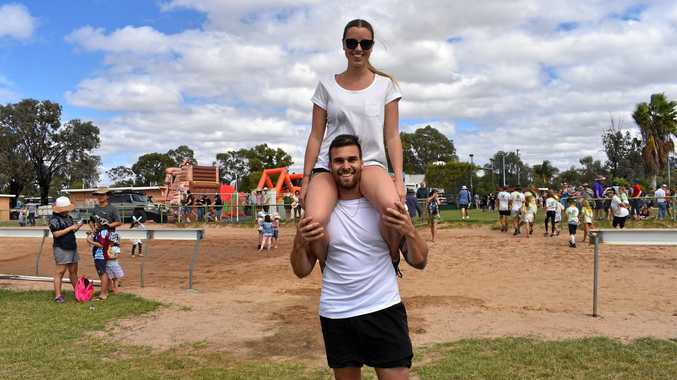 The furore stems from an alcohol-fuelled incident at an Adelaide nightclub involving Power midfielder Sam Powell-Pepper. Powell-Pepper was slapped with a three-match ban over his late-night drunken behaviour, which the AFL said also included engaging in "inappropriate contact with a female". Port CEO Keith Thomas accused Seven of inflaming the situation and risking damage to the mental health of its player by reporting it as a sexual assault. Thomas denied it placed Koch in an awkward situation even though his employer was being publicly targeted by his club. Koch raised the stakes by declaring war on the AFL, claiming Power-Pepper was a victim of the league's attempts to rebuild its reputation with women following the resignations of league executives Simon Lethlean and Richard Simkiss over their affairs with junior colleagues. Koch accused the AFL of "railroading a kid and trying to rebuild their reputation" in a statement rival president Eddie McGuire said "will cause a major explosion". David Koch appearing on the Footy Show. The Sunrise host then chose to continue his attack by appearing on Nine's The Footy Show on Thursday night. AFL chief executive Gillon McLachlan said there was no bad blood between the AFL and Port Adelaide over the handling of the investigation, despite Koch's anger. "I think David was emotional and clearly feels he's protecting his player and his club," McLachlan said. "I completely disagree and reject some of the things he said. (but) football's a passionate, emotional business, and I don't take any of it personally." Whether Channel 7 feels the same way is another matter.